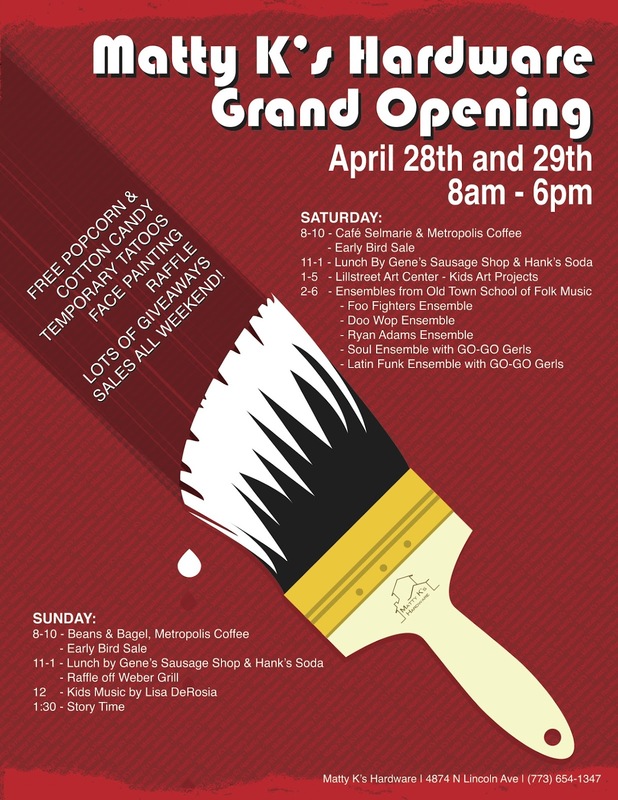 Next weekend (April 28 & 29) is the grand opening celebration for Matty K's Hardware, which is located within easy walking distance at 4874 N. Lincoln Ave (at Ainsley, right by McDonalds). It's a great place, and owners Matt and Laura Kollar say hope their Grand Opening becomes the first block party of the year. They are having lots of sales, free food, and entertainment for kids and adults alike. Check out the attached flier for more details.